As embarrassing as the pop and glitter music that parades itself as hip hop may be to the true fan of Rhythm And Poetry, and as ubiquitous as that hollow and monotonous commercial sound may be on the corporate airwaves, the essence of real hip hop music remains powerful if not exactly popular. 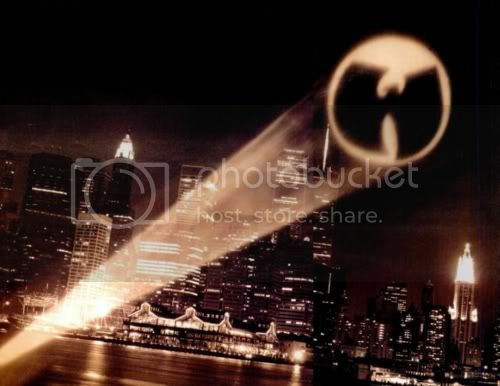 This is especially evident for loyal fans of the Wu-Tang Clan and their endless throng of talented affiliates. Almost 20 years after their debut upon the music scene, Wu generals like Raekwon and Ghostface Killah are still highly sought-after by both fans and fellow musicians, while The Rza has soared straight past the heights of musical production and film soundtracks into the director's chair for his film debut, The Man with the Iron Fists, starring Russell Crowe and set to be released later this year. 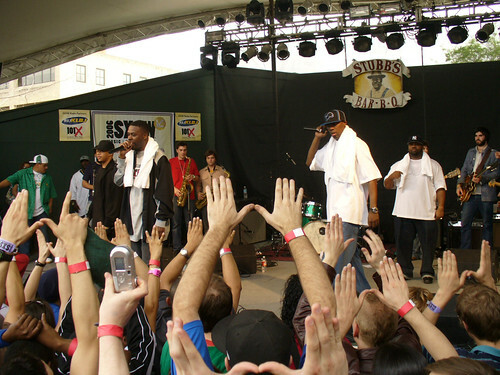 The Wu camp continues to release a steady stream of quality music, staying true to their formula (the original hip hop formula) of sharp lyrics, skillful flows, and sample-based loops with crackling drum breaks while giving birth to another generation of diehard fans (40-year-olds and teenagers alike can be found making the eagle-wings at concerts). This summer was particularly profuse as not only the Wu and their affiliates but even outside artists have delivered offerings in homage to the name of the mighty Shaolin supergroup. Here, I will briefly go over all that we've heard this summer. First off, and most importantly, the ostensible 21st Century messiah of Wu-Tang, Bronze Nazareth, has finally released his sophomore album, the follow-up to his 2006 debut (one of my favorite albums of all-time) The Great Migration. The Detroit-based emcee/producer is considered the heir to the throne but unlike many of the Wu-Tang affiliates and Killa Bees, he did not simply inherit this title, he earned it. He's not a relative, old buddy/schoolmate, or record label-appointed collaborator, instead he's something of a savant who so impressed European Wu-Tang affiliate Cilvaringz (himself, an important part of Wu-Tang's new breed) back in 2002 that he was given an opportunity to show his work to The Rza who immediately signed him and housed him up in New York for two months to work on The Abbott's new album. When that record, The Birth of a Prince, came out in 2003 there were two beats in particular that shot steam out of my ears and led me to declare that Rza had regained his magical touch production-wise. It wasn't until two years later that I actually thought to look at the album credits and realized it wasn't Rza who had made those beats, it was the debut of someone named Bronze Nazareth. We eventually got to hear Bronze speak his piece lyrically and it was immediately evident that Wu-Tang had once again uncovered a gem: a gifted poet as well as sublime beat-crafter. His debut album made hip hop heads explode (one particular Amazon user review has always stuck with me) and he subsequently unveiled his own group, The 7 Wisemen, who released two highly-acclaimed albums while Bronze received an increasingly steady stream of production work for Wu affiliates hungry for the vintage chops (more on those in a minute). unless you fail to listen"
When the Swarm was upon us in the mid-1990s, Timbo King was leading the pack. He was one of the few artists outside of the 9-member Wu-Tang Clan circle who, right from the beginning, proved he could match up with anyone when it came to clutching mics. The notoriously poor business management of the Wu enterprise left him waiting to receive his time in the spotlight though and his blacktop-hardened street personality didn't soften up to the corporate record execs who preferred to call the shots and this mega-skilled emcee found himself black-listed in the industry. He continued to stay relevant in the ears of listeners by featuring on albums with Rza, Gza, Killah Priest, and being a part of the supergroup Black Market Militia, but it wasn't until this summer, nearly 20 years after he began his career, that he finally released his debut solo album. He put his best work into it and brought plenty of great production to the table, mostly from Bronze Nazareth. I've got a big review of the record covering every track all written up, just need to make some edits and I will post it here soon. It's definitely one of the best albums of the year. Here's one of my favorite tracks from the record, a clever takedown of all the industry executives who've been ruining the rap industry for the last decade or so. 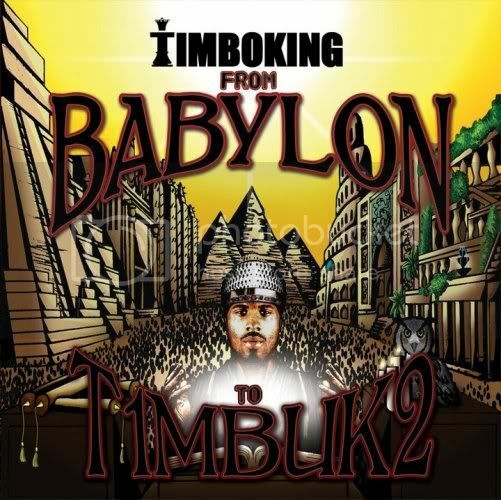 Earlier this summer the group released this short compilation album, a sequel to 2009's Chamber Music, with live production from The Revelations and features from rap legends like Sean Price and AZ plus some of the Killa Bee affiliates. The production, despite being handled by a live band, was a bit lacking for me and certainly a step below the similar 2009 showcase. 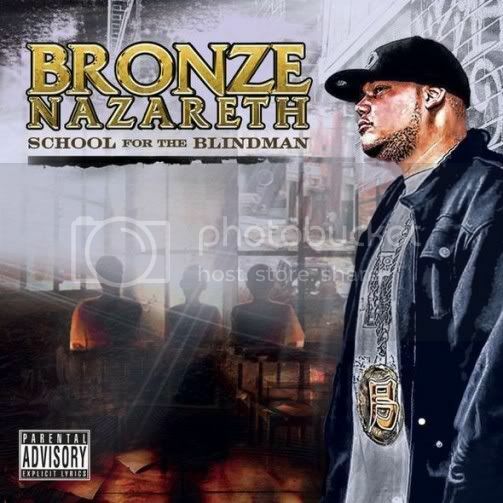 As this might be called The Summer of Bronze, the Nazareth man got to step on to a track next to legends Rza, U-God and Cappadonna to outshine all of them ("tempted by Satan, put a bullet in his diaphragm / Walk around, black clouds and quiet violins"). The most important part of this latest effort, though, was the return of fan-favorite Killa Sin. Sin, like Timbo King, had been impressing everybody for years but never got a chance to shine on his own. These last 5 years or so (maybe longer, I'm not sure) he's been in and out of prison and hasn't put out much music at all. This record hails his return as he and his water fountain flow were featured on two tracks, including a solo track. Last year a musician named Tom Caruana released a free mash-up album combining the Beatles and Wu-Tang that was absolutely superb. He deftly weaved together Beatles interviews, quotes, instrumentals, songs, and all kinds of Wu chops for a magic musical tour (the mash-up was entitled Enter the Magical Mystery Chambers). 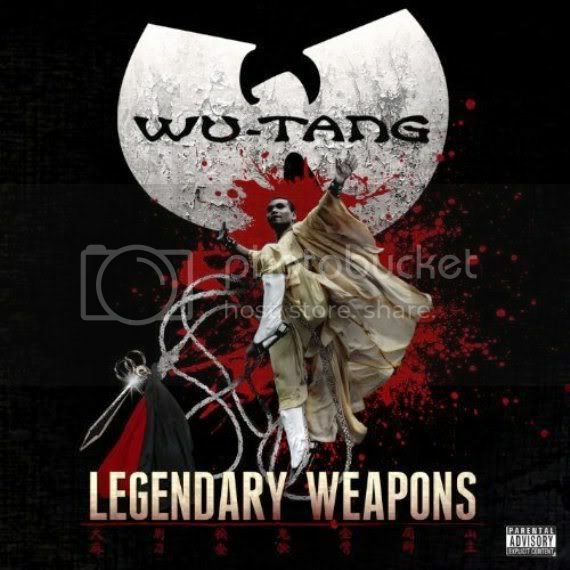 It was so good that Rza actually mentioned it in a verse on the aforementioned Legendary Weapons album. Caruana just recently released another homage to the Wu that's getting plenty of attention, it's a mix of the bass-heavy flavors of Jimi Hendrix with verses from the Wu and friends (Killarmy gets a song on here as well as other lesser known affiliates). I don't like it quite as much as the Beatles mix but it's no slouch either, I highly recommend it. Another similar project that caught my attention is Shaolin Jazz - The 37th Chamber, a smooth combo of jazz (both old and new) and classic Wu-Tang material. All three of these mash-up homages (the Beatles, Hendrix, and jazz mixes) are totally free and available for download. Tragic Allies is a trio from Massachusetts that has been putting out great new music steadily for a few years now through mixtapes and free internet tracks but they've yet to release an album. As seems to be a common thread with some of the artists I've mentioned, they announced their record a while ago and it suffered a bunch of pushbacks and delays. Well, finally, the Tragic Allies debut album is coming. It's due September 27th and features Planet Asia, Canibus, Killah Priest, and (yup) Bronze Nazareth. The reason I mention them here next to all the Wu-Tang stuff is that, while they aren't affiliates or associated with Wu-Tang at all, their new record not only features some Wu legends but they bring that similar style of classic 90s-era hip hop. I've felt for a while now that Tragic Allies are making some of the best rap music in the world, period. Here is the first single off the new album, "God-gifted" featuring Planet Asia. 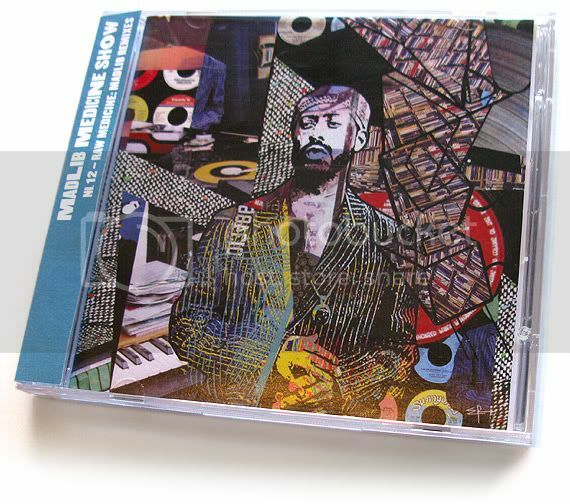 Lastly, since I've written so much about Madlib and his Medicine Show series, I should mention that Stones Throw just released Part 12 of the series, a 37-track remix album that features a whole crowd of various emcees including Wu-Tang's Inspectah Deck, Ghostface, Raekwon, Cappadonna and a bunch more. I've only just received it so I can tell you that the artwork is as awesome as usual and the sounds are vintage Madlib, that is, dusty old raw hip hop sounds.